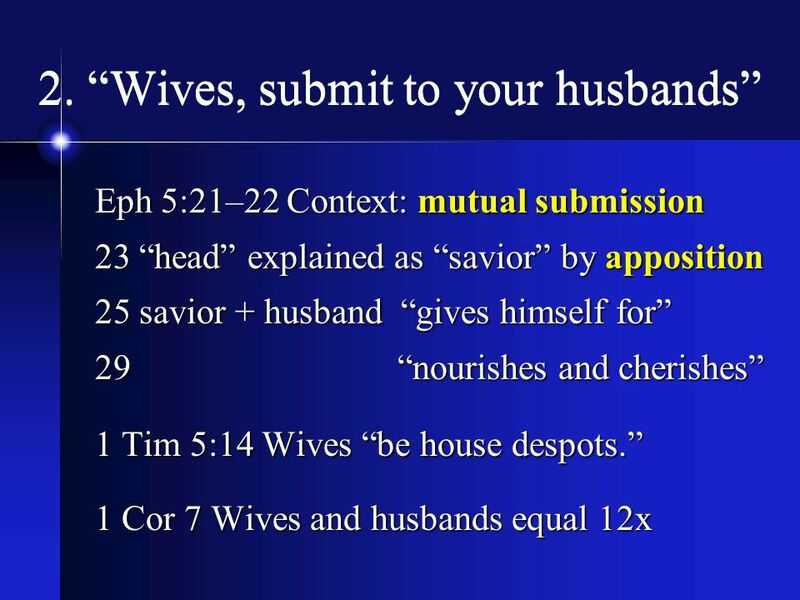 The Biblical Foundation for Mutual Submission and Shared Authority Between Men and Women in Church and Marriage Philip B. Payne, Ph.D. Author: Man. 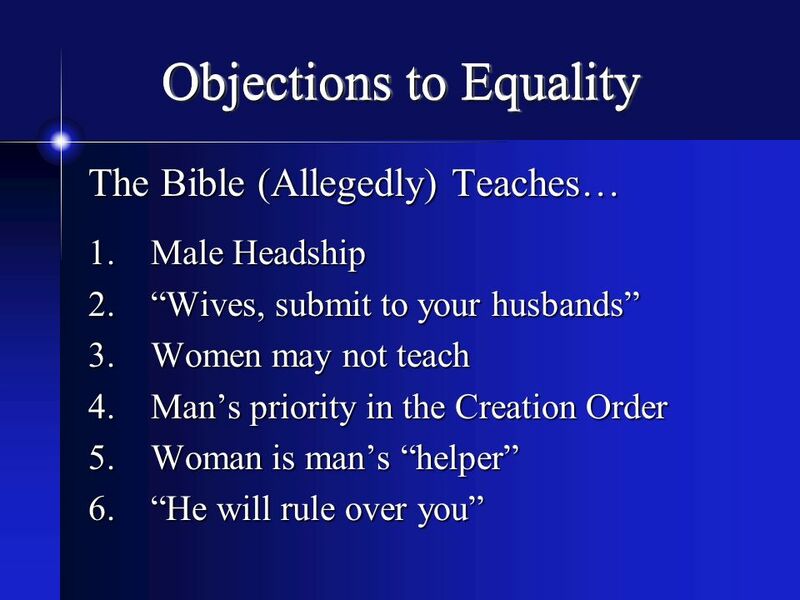 Genesis’ Creation Account Stresses Equality: 1:26–27 “God said, Let us make mankind in our image, in our likeness. 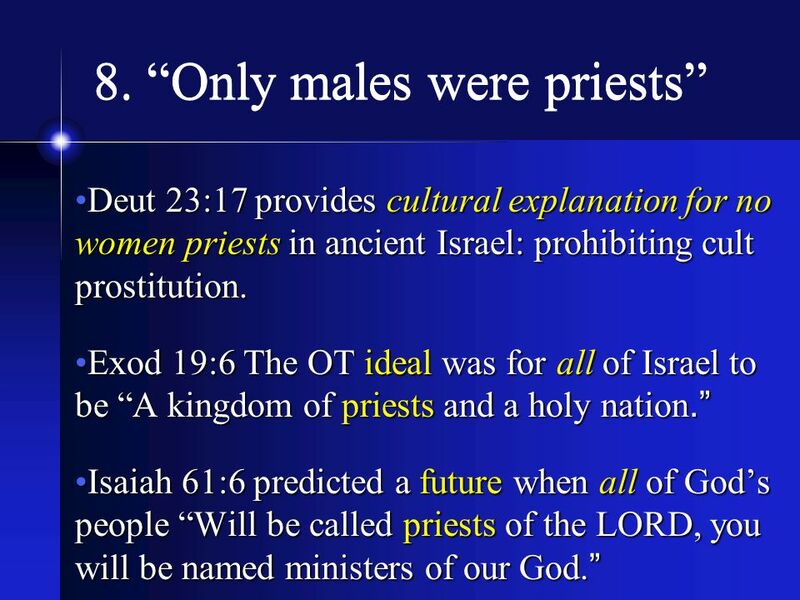 So God created mankind in his own image, in the image of God he created them; male and female he created them. 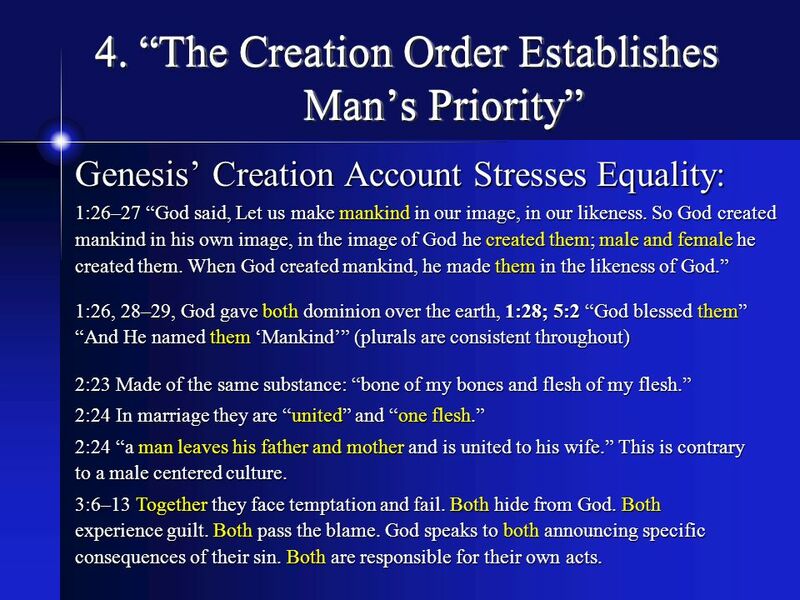 When God created mankind, he made them in the likeness of God.” 1:26, 28–29, God gave both dominion over the earth, 1:28; 5:2 “God blessed them” “And He named them ‘Mankind’” (plurals are consistent throughout) 2:23 Made of the same substance: “bone of my bones and flesh of my flesh.” 2:24 In marriage they are “united” and “one flesh.” 2:24 “a man leaves his father and mother and is united to his wife.” This is contrary to a male centered culture. 3:6–13 Together they face temptation and fail. Both hide from God. Both experience guilt. Both pass the blame. God speaks to both announcing specific consequences of their sin. Both are responsible for their own acts. 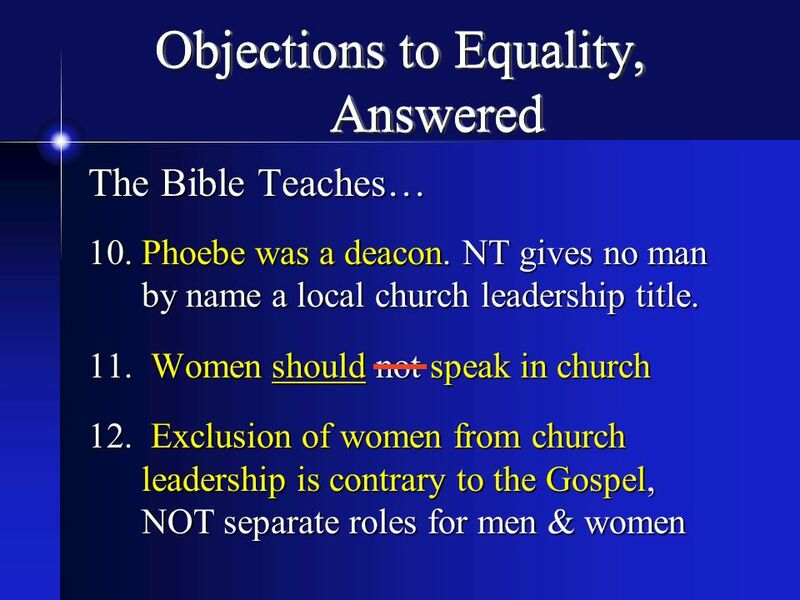 A statement of what will result from the fall, not God’s decree of what should be. 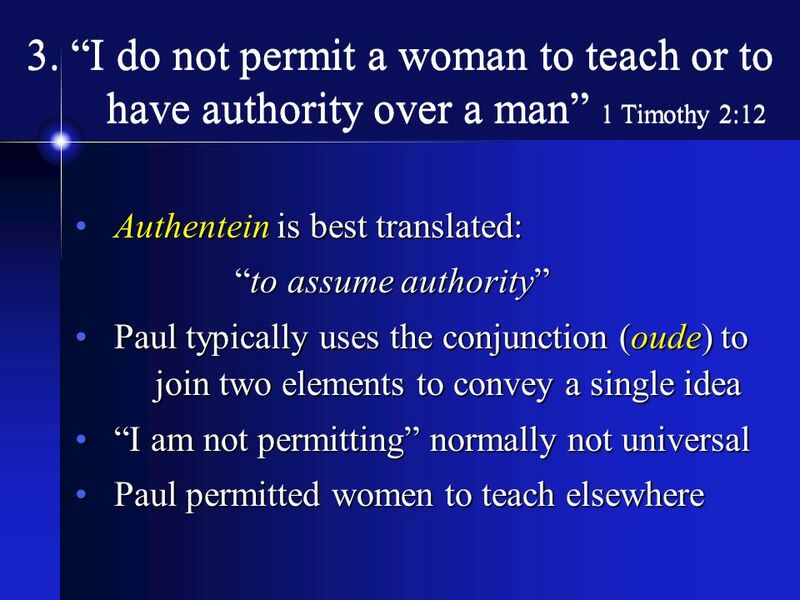 All male rule, not just “bad rule,” comes from the Fall. 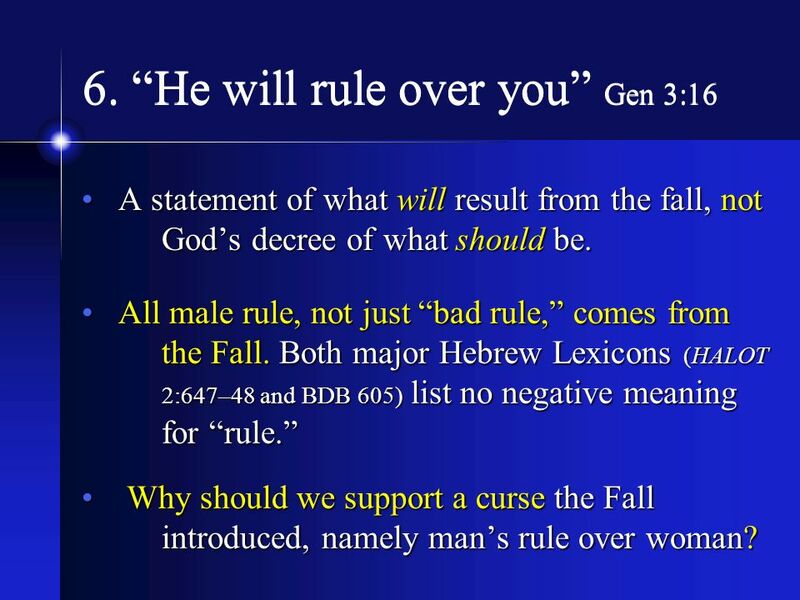 Both major Hebrew Lexicons (HALOT 2:647–48 and BDB 605) list no negative meaning for “rule.” Why should we support a curse the Fall introduced, namely man’s rule over woman? 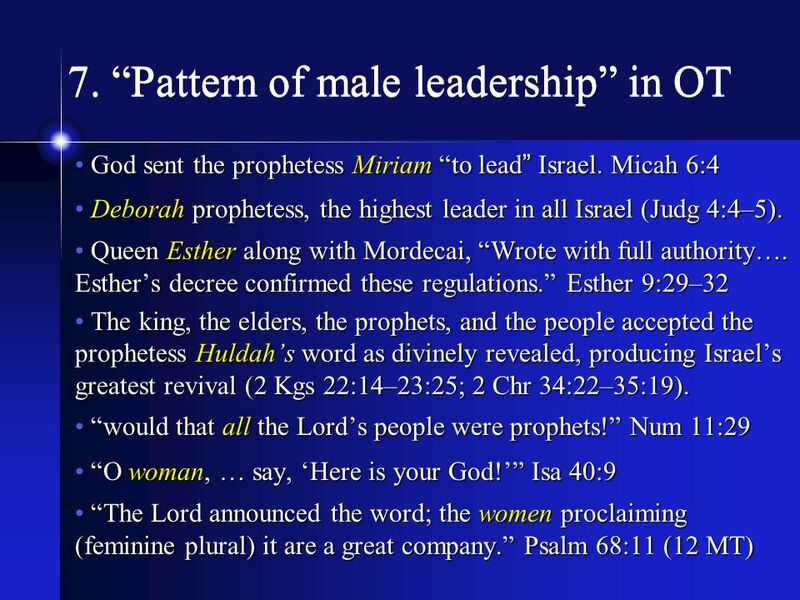 Jesus chose men to avoid scandal and for symbolic parallel, not to ban women leaders. 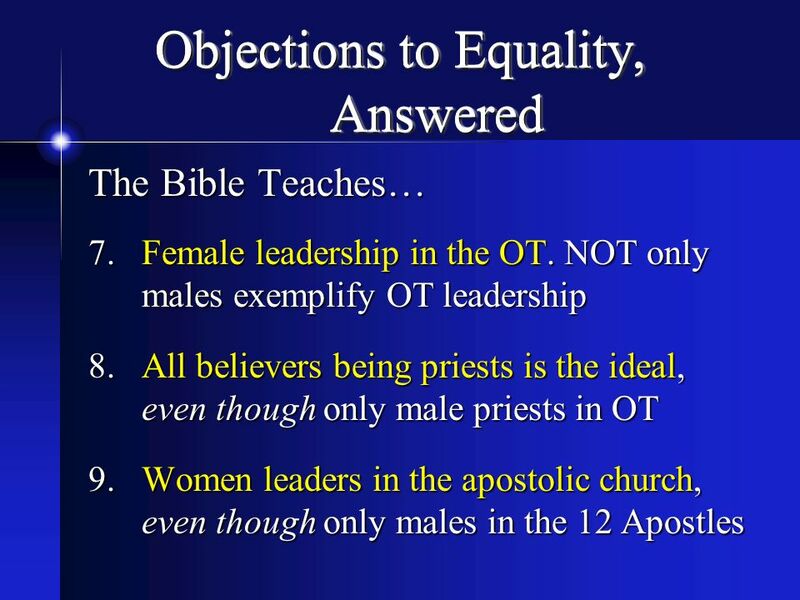 Jesus in all his words and deeds treated women as full persons equal with men, never subordinate or restricted in role. 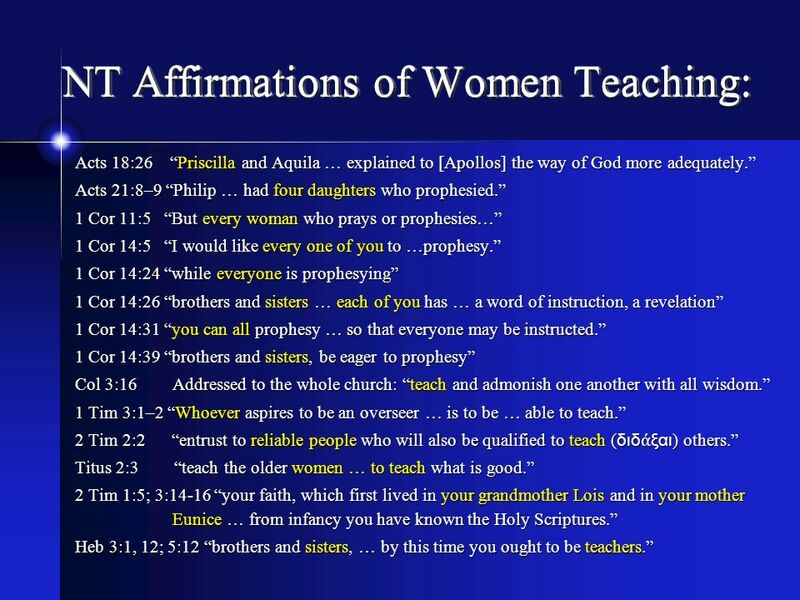 Jesus… John 4:14–26;11:25–26 taught Samaritan woman and Martha. 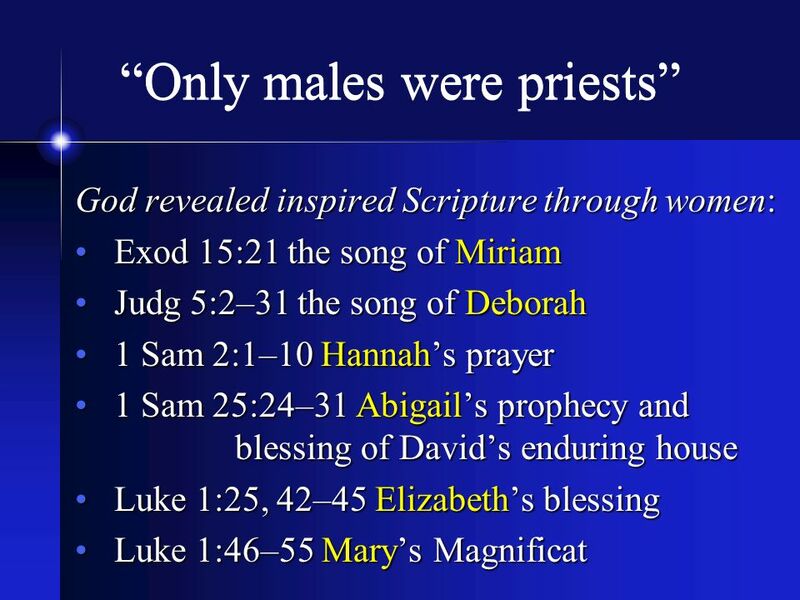 Luke 10:38–42 encouraged female disciples like Mary. 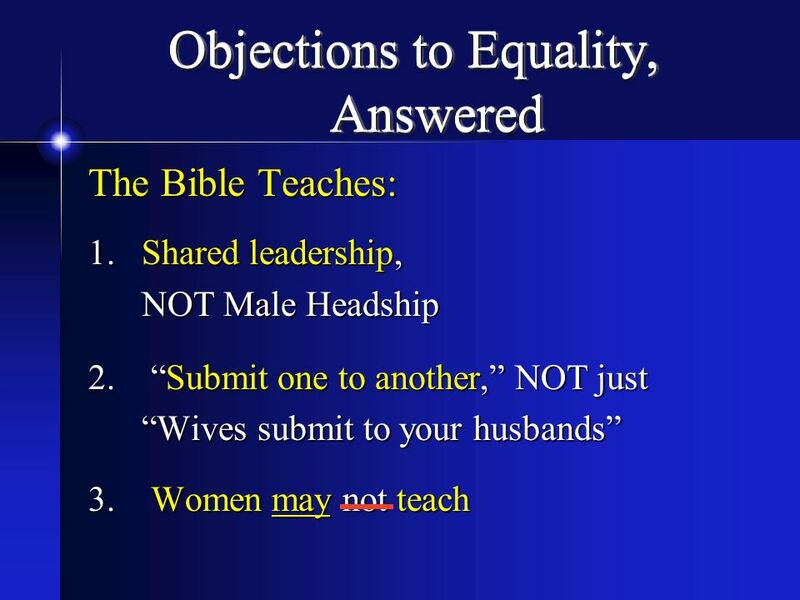 Mark 10:12 treated men and women equally regarding adultery and divorce. 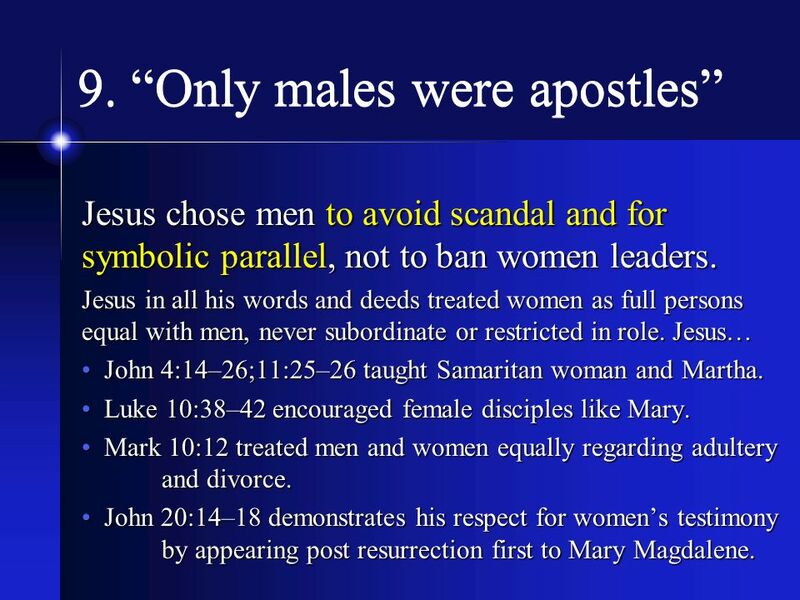 John 20:14–18 demonstrates his respect for women’s testimony by appearing post resurrection first to Mary Magdalene. 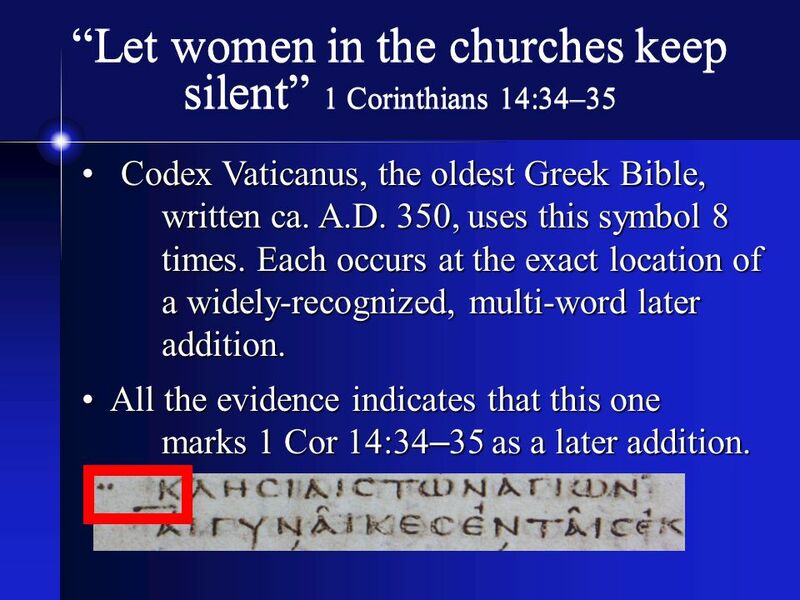 Codex Vaticanus, the oldest Greek Bible, written ca. A.D. 350, uses this symbol 8 times. Each occurs at the exact location of a widely-recognized, multi-word later addition. 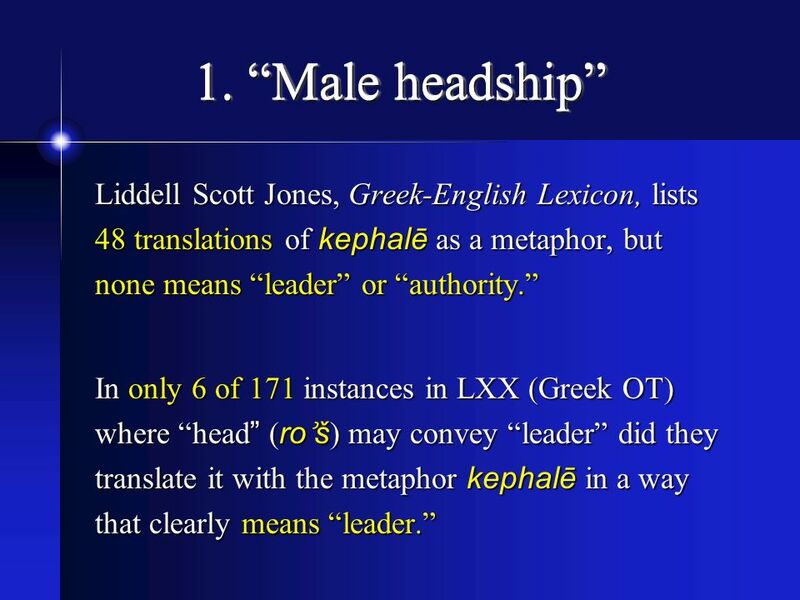 All the evidence indicates that this one marks 1 Cor 14:34–35 as a later addition. 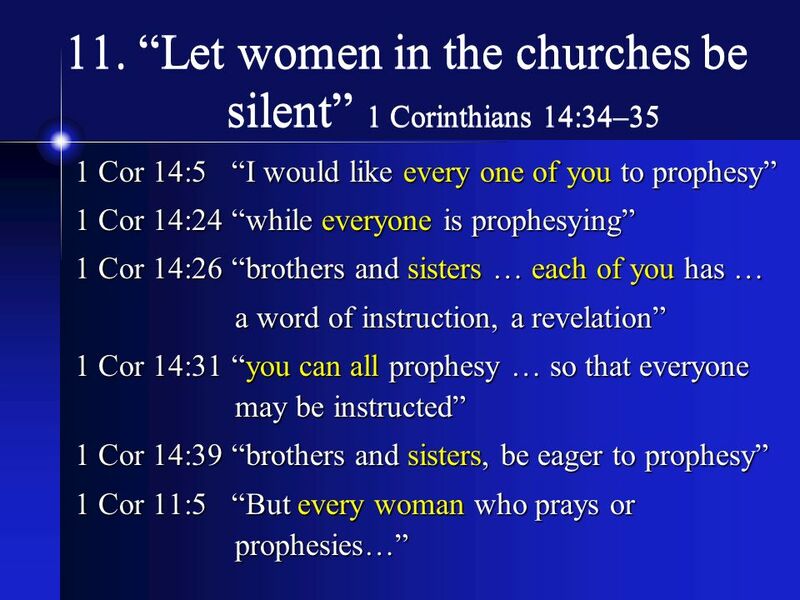 1 Cor 11:11 mutuality and shared authority of man and woman, even in prophecy. 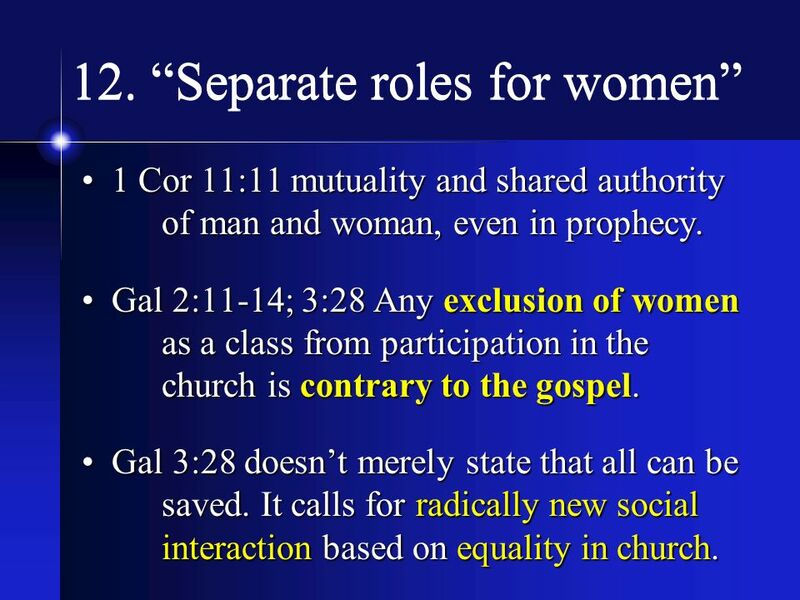 Gal 2:11-14; 3:28 Any exclusion of women as a class from participation in the church is contrary to the gospel. Gal 3:28 doesn’t merely state that all can be saved. 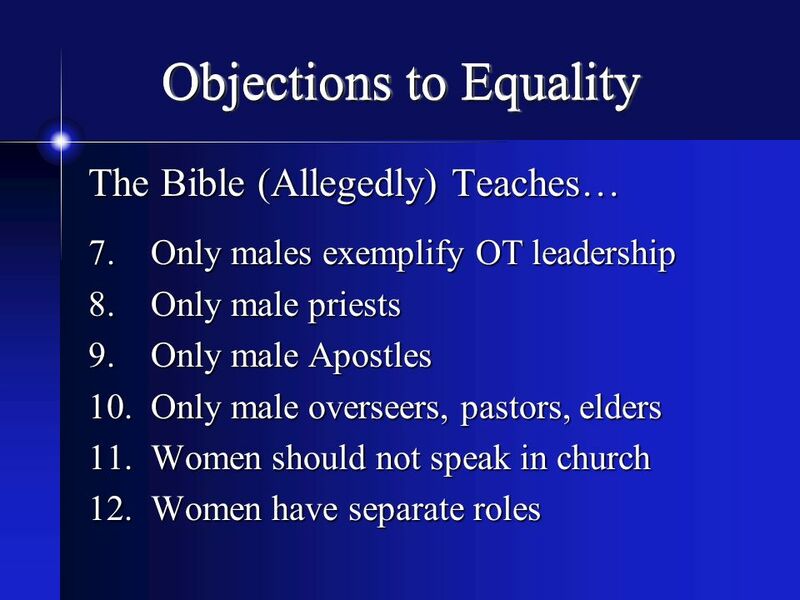 It calls for radically new social interaction based on equality in church. 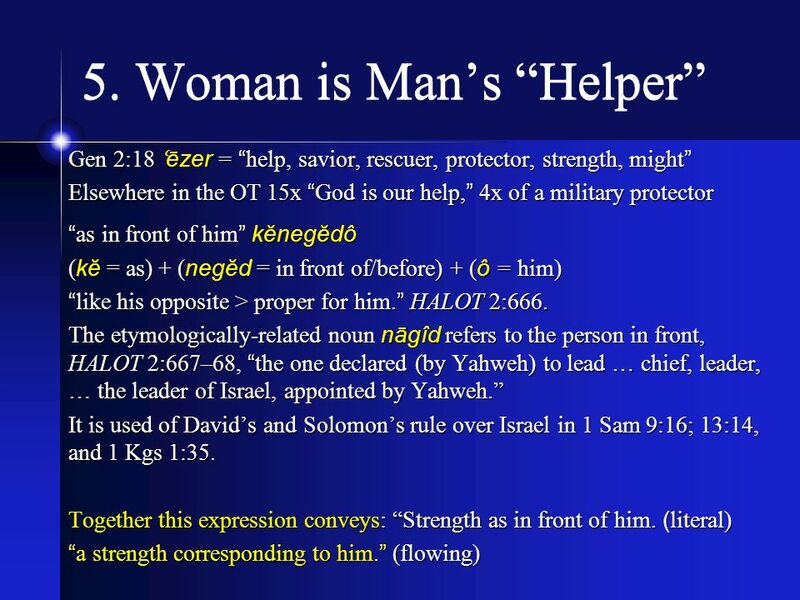 The Bible Teaches… Shared dominion in Creation, NOT Man’s priority in the Creation Order Woman is “strength corresponding to” man, NOT man’s subordinate “helper” Male rule is part of the Curse. 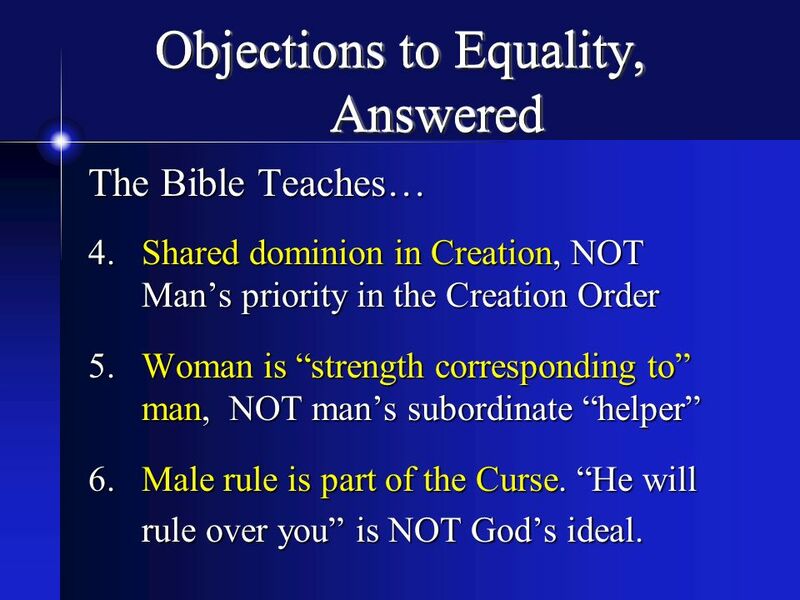 “He will rule over you” is NOT God’s ideal. 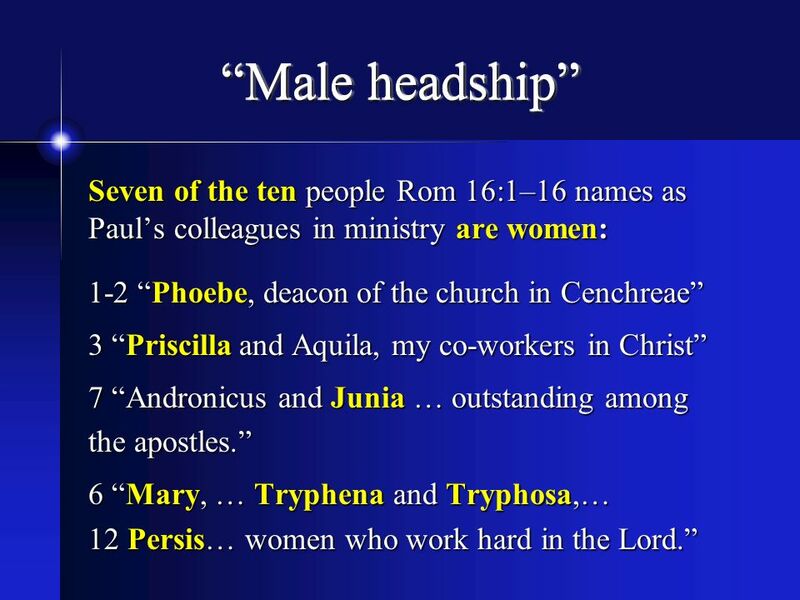 24 Conclusion The Bible teaches the equal standing of men and women in the church, including church leadership. An avalanche of texts clearly support this. 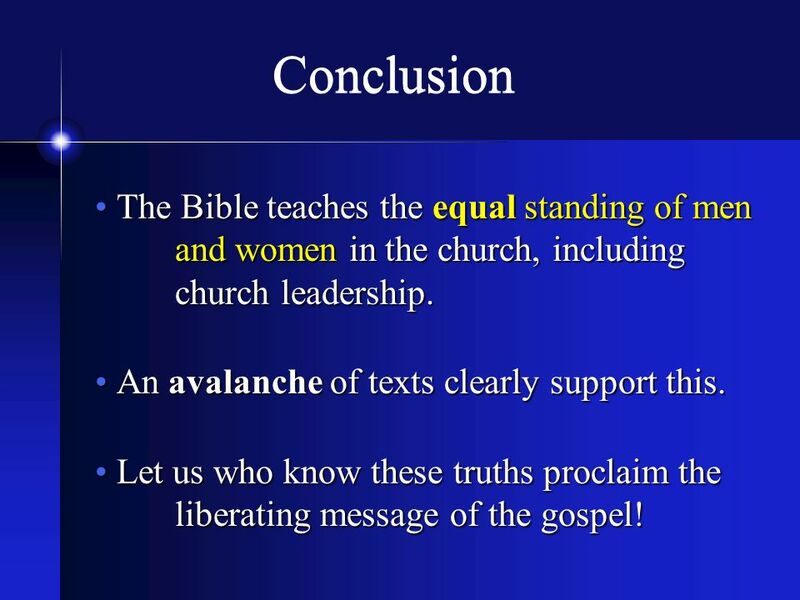 Let us who know these truths proclaim the liberating message of the gospel! 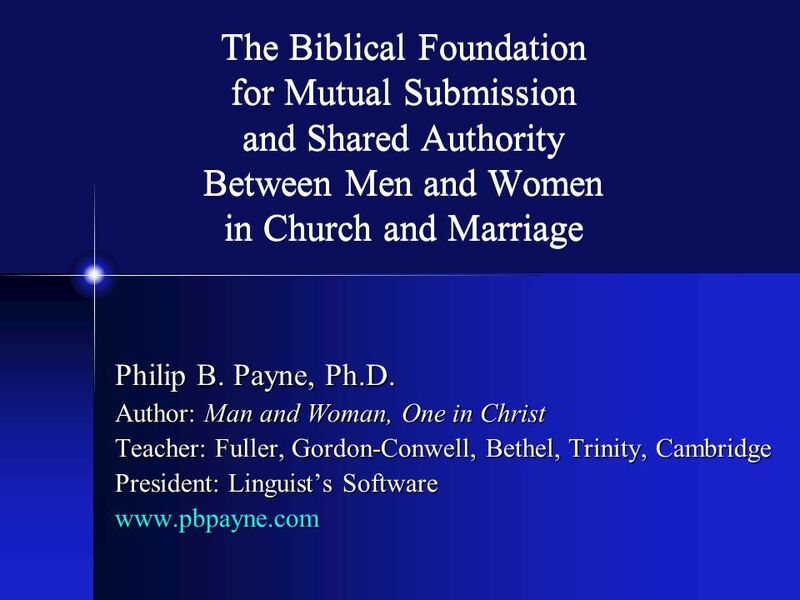 Download ppt "The Biblical Foundation for Mutual Submission and Shared Authority Between Men and Women in Church and Marriage Philip B. Payne, Ph.D. Author: Man." There Is A Pattern. FOllow the Pattern We Know What Well Get. 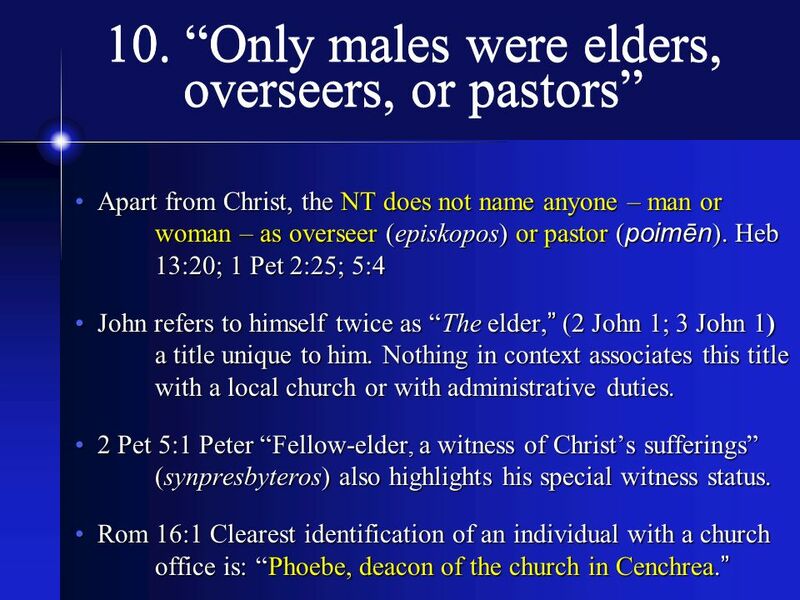 Ephesians 4: Acts 20:17-36 elders bishops pastors.